The Face of Midnight, my forthcoming horror novel, is in the final editing stages. To whet your appetite, here is the incredible cover design by Bram Stoker Award winning author, Kealan Patrick Burke. The Face of Midnight is dark horror in the spirit of Richard Laymon and Jack Ketchum. If you enjoyed Crawlspace, The Face of Midnight will be right down your alley. As much as I’d like to, I can’t promise a release date at this time. While the book is likely to be in its final form by Halloween, releases are often dictated by other difficult to predict factors, such as promotional runs and the time it takes for the printer to get the book to market. To be notified as soon as The Face of Midnight is released, please join my VIP newsletter. 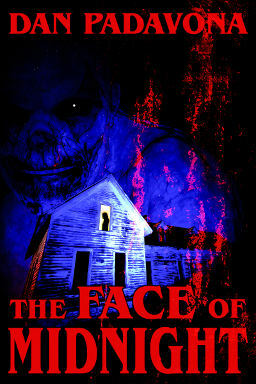 Members will be able to download The Face of Midnight for only 99 cents during the initial release period. ⟵Who’s the Doofy Guy on YouTube?